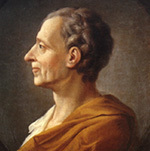 Montesquieu was in full Charles-Louis de Secondat, baron de La Brède et de Montesquieu. He was French and a political philosopher. And the man had style. 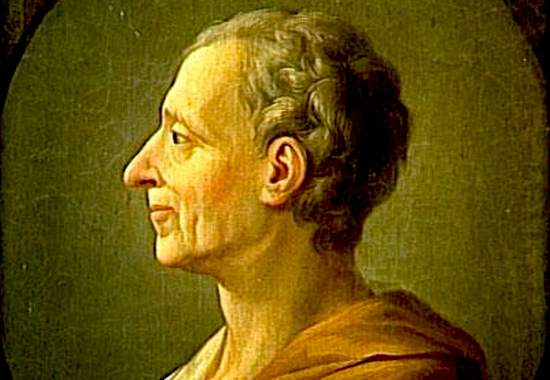 Montesquieu became very famous for his political work The Spirit of Laws. Charles-Louis was the eldest child of Jacques de Secondat and Marie-Françoise de Pesnel. Marie-Françoise brought La Brède into the marriage (think castle and vineyards) which is located close to Bordeaux. She died in 1696. Jacques died in 1713. In 1715, Charles-Louis married Jeanne de Lartigue. They had two daughters and one son, Jean-Baptiste. Jeanne was a smart woman. Charles-Louis's family was financially quite comfortable. But the real breakthrough came for Charles-Louis when his uncle, the Baron de Montesquieu, died. His inheritance meant wealth and a job in the Bordeaux parliament.